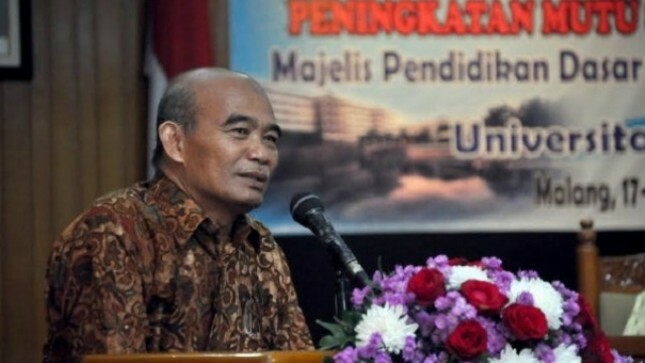 INDUSTRY.co.id - Jakarta - Minister of Education and Culture Muhadjir Effendy said all parties should sit together to take policy to solve teacher problems such as recruitment, uneven distribution and teacher welfare. He said Indonesia still lacks teachers but not many, and the teachers especially for public school teachers have diverse status. There are already civil servants, there are already certified professions, some have not obtained a professional certificate and many teachers are also honorary status. Kemendikbud data mentioned that there are about 737 thousand teachers whose status as non-permanent teachers in public schools, it does not include religious teachers who become the authority of the Ministry of Religious Affairs, so the estimated number of teachers who are not fixed about 840 thousand teachers. Therefore, Muhadjir highlighted the need for comprehensive teacher governance because it has been around seven years for not regularly receiving teachers. "For the certainty of the position whether as civil servants or civil apparatus of the country should be examined together, as we know with the existence of regional autonomy of education is the authority of the district and city governments," said Muhadjr. He said solving the problem of teachers so all parties need to sit together, such as with the PAN-RB Ministry who knows exactly how many teachers can be recruited by the government, then have to talk to the Ministry of Finance on budget issues, and no less pnting with Kemendagri. The existence of regional autonomy where the function of education becomes the authority of provinces-districts-cities, then Kemendagri has a direct line with the teacher. Prosperity While on the welfare of teachers, he says the provision of teacher professional allowances for certified teachers, as well as special allowances for teachers who serve in special areas will continue to be of concern. "There are many benefits schemes for teachers, there is a professional allowance for teachers who have certified professions, there is a high cost for teachers who teach at khsuus place and other special allowances Uneven income among teachers, teachers have got benefits but there are teachers who honorary status, so it needs to be laid out regarding the imposition of teachers with different incomes," he said. In addition to achieving equitable quality education, the government will upgrade teachers who have double skills to meet the needs of vocational education.